With the DV Mark DV Little GH 250 Greg Howe Signature, the Italian amplifier company presents a compact electric guitar amplifier developed in close collaboration with the New York guitar genius. Despite its weight of just 2.6 kg, this particularly easy-to-carry top delivers a full 250 watts of power, while two channels cover the spectrum between crystal-clear clean and rocking overdrive sounds. The DV Mark DV Little GH 250 Greg Howe Signature Amp offers two channels with individual tone controls and a reverb effect. The voicing of the DV Mark DV Little GH 250 was developed together with the Shrapnel Records veteran Greg Howe and convinces accordingly with its wide range of sounds between crystal clear, jazzy clean sounds and creamy overdrive for lead and rhythm sounds. The amp offers two channels, each with its own gain and level controls and 3-band equalizer. In addition, a global reverb effect is available for plastic-harmonic three-dimensionality and a serial effect path. Despite its ultra-compact dimensions and weight of just 2.6, the DV Mark DV Little GH 250 Greg Howe Signature delivers an impressive 250 watts, releasing enormous volume reserves for use on stage or in the rehearsal room. A SpeakOn connector is available next to the classic jack socket for connecting loudspeakers. 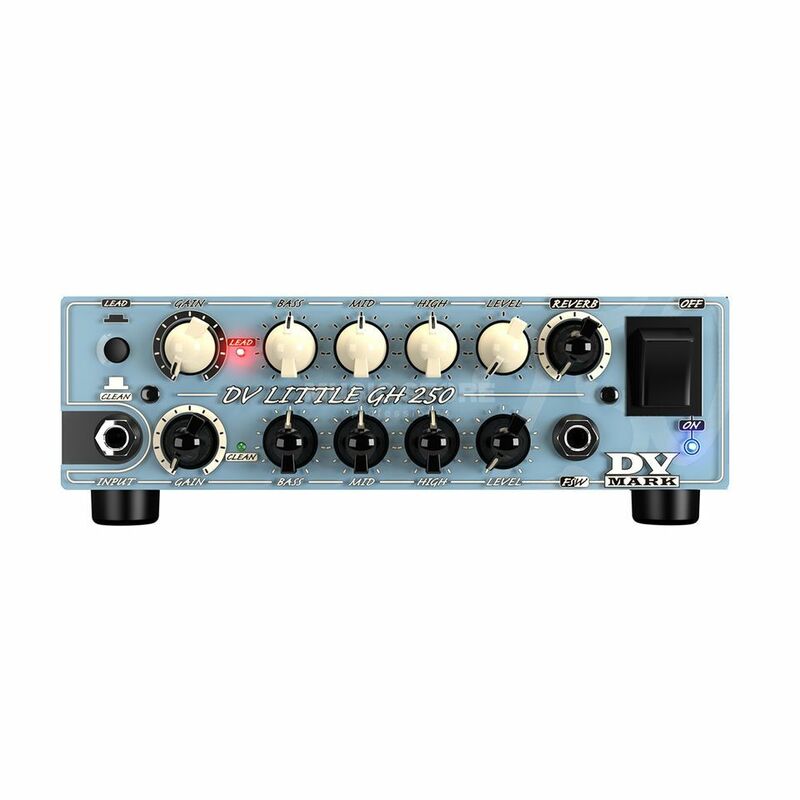 In addition, the DV Mark GH 250 is equipped with a preamp-out, via which the guitar signal can be easily forwarded to recording devices or mixing consoles. The rear panel of the DV Mark Greg Howe Signature Head features a jack and SpeakOn speaker jack, effects path and preamp out.